We offer a wide choice of quality blind and curtain products to suit any décor, taste or budget, including all the well-known brands you would expect. All typically available in stock at our shop alongside fabrics for made to measure products as well as garden window awnings and plantation shutters. With an experienced salesroom staff to advise and help you with your choice and a professional team of fitters available you can get an all-in-one window furnishing service at Blind and Track. 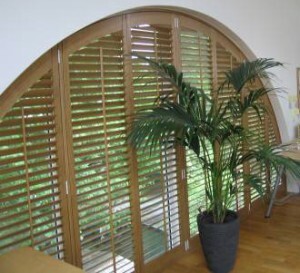 Our all-in-one approach to service is available on all the products we stock; blinds, curtains, shutters and awnings, we can take care of the entire measuring up, delivering and installing job. We also take great pride in our ability to source rare or unusual window furnishings from our large network of contacts; if it is available on the market we can find it! So just, get in contact if you want us to find an unusual product! Custom and bespoke orders are a specialty of ours with plenty of fabrics always in stock for new curtains, free measuring up and estimating, and a skilled team of seamstresses to carry out repairs as well as making new sets. All our roller blinds are available on a made-to-measure basis ensuring they fit your windows perfectly; measure up yourself and order your roller blinds online to save 20% on our in store prices! Whatever your requirements for window furnishings outside or inside your home, we have a great choice of beautiful, practical and functional blinds, curtains, tracks, curtain poles and awnings to perfectly complement your home; give us a call or drop into our store at any time to look over our range and benefit from the advice of our friendly staff!